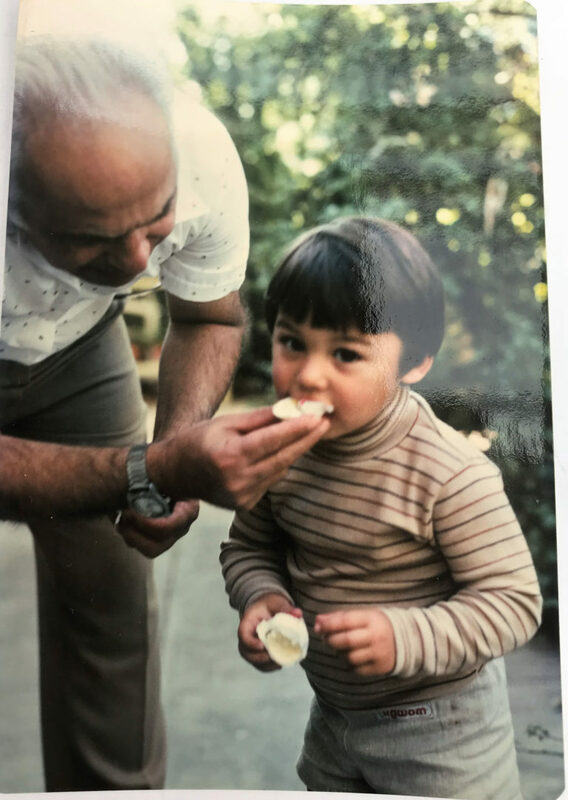 Thirty-nine-year-old Michael Alder Ioannou slowly watched his life slipping away, he risked his health and saw his career freefall to destruction, yet nothing could sway him away from the addictive grip of ‘ice’. Nothing except for the love he had for his mother, Evi. “I suffered a brain aneurysm, respiratory failure, death threats and bashings. 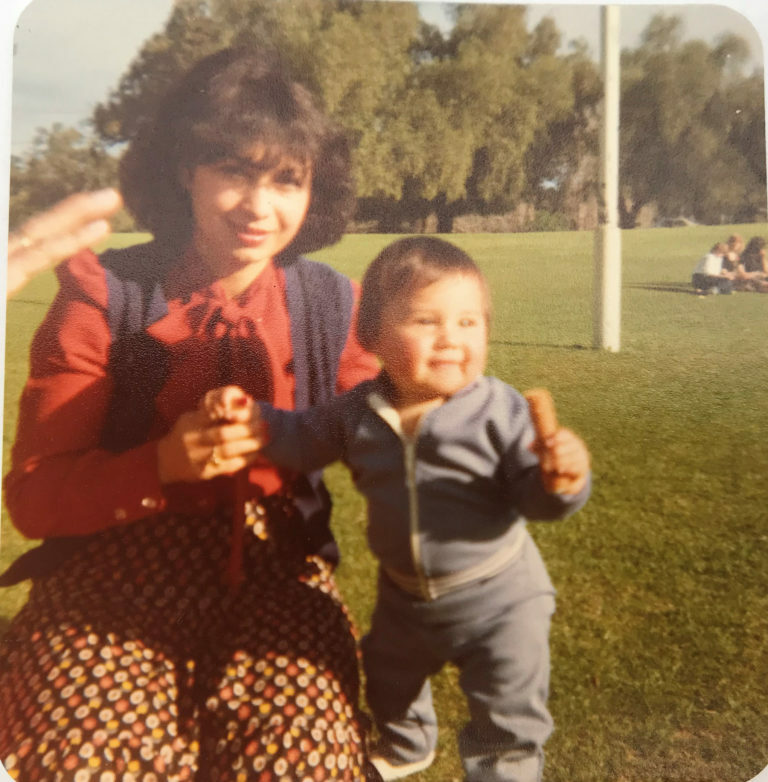 I was arrested for dealing drugs and saw my whole life collapsing before my eyes, yet the love I had for my mother was the only thing that pulled me out of this nightmare,” says former registered nurse Michael, who worked in various hospitals and nursing homes throughout South Australia before moving to London for work. “It took one night in London after a long exhausting shift at the hospital for my addiction to begin. Looking back today, I realise I had pretty much everything: professional success, a great social life, financial freedom, and above all, a loving family back in Australia. Nevertheless, curiosity overtook logic when after my shift a ‘friend’ offered me a drug I had never tried before to keep me alert, so I didn’t miss out on all the fun. It was ice. “That was the beginning of the end,” admits Michael, who within days found himself struggling to live a normal life. Crystal meth (short for crystal methamphetamine) is just one form of the drug methamphetamine, a white crystalline drug consumed via snorting (inhaling through the nose), smoking or injecting with a needle. Some users even take it orally, but all develop a strong desire to continue using it because the drug creates a false sense of happiness and wellbeing – a rush of confidence, hyperactivity and energy. The drug effects generally last from six to eight hours but can last up to 24 hours. It is a dangerous and potent chemical that first acts as a stimulant but then commences to systematically destroy the body. It is therefore associated with serious heart conditions, stroke, seizures, memory loss, aggression, psychotic behaviour and potential brain damage. According to scientific research, the first experience may be pleasurable, but from the outset, methamphetamine begins to destroy the user’s life. “I had used illicit drugs sporadically in the past, but with ice it spiralled out of control very quickly. I was alone in London, therefore I decided to return to Australia and seek help from my family,” says Michael. “I was devastated when he told me, but I was determined to help him fight,” recalls Michael’s 74-year-old mother, Evi, who, together with her brother Angel and Michael’s partner at the time, helped him overcome his addiction and resume a normal life in SA. “It was extremely difficult but I slowly started getting my life back. I stayed ‘clean’ for eight years and was on top of my game when I was afforded the opportunity to move to Melbourne in late 2013 to start a new job. A year after moving interstate, Michael’s long-term relationship ended in heartache and as a consequence he turned to ice to numb the emotional pain of the break-up. Before too long, he was so sick from withdrawal symptoms that he was unable to work. He then increased the ‘doses’ to almost daily. “I took ice to take the pain away but instead, ice took my life away,” says Michael who soon found himself in intensive care undergoing an eight-hour operation for an aneurysm in his weakened brain. 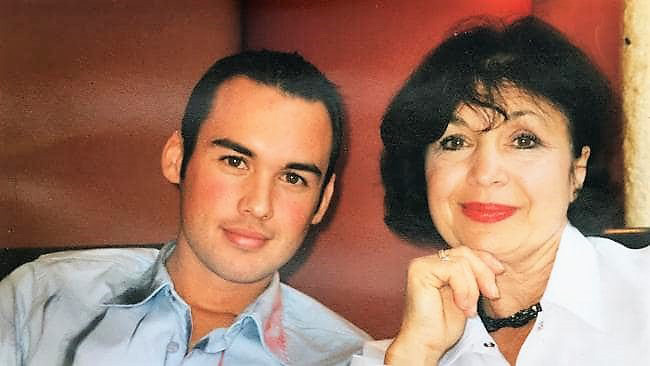 Evi flew to Melbourne to be with her son, unaware of his ever-increasing addiction at the time and brought him home once again. “When I realised he had relapsed, I was devastated,” she recalls. It took Michael six weeks to recover in hospital. Unable to work, and living on income protection benefits, the bills started to pile up, and according to Evi’ s estimation, during Michael’s three worst years of addiction, the debts reached around $300,000. “I couldn’t afford anything. I started dealing drugs in order to afford my addiction. I ended up in debt, and in trouble, facing death threats, bashings and theft by other users and dealers,” admits Michael. 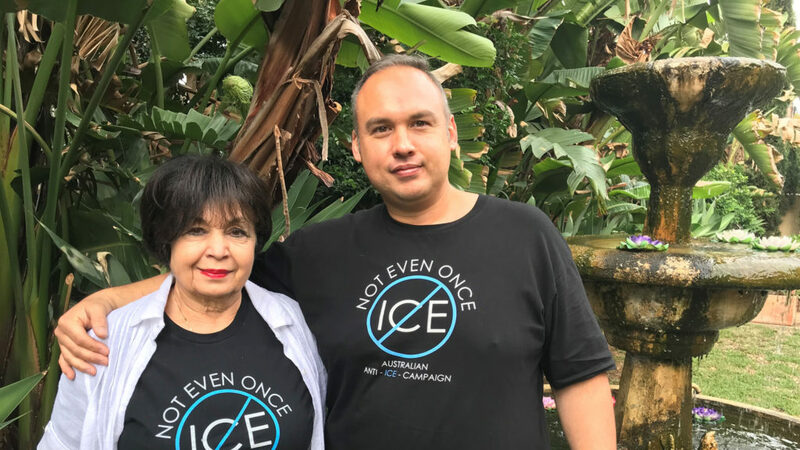 “It was just devastating to watch and not be able to help him,” says Angel, who has been a valuable support to Evi and his nephew during their battle with ice. Following years of addiction, Michael’s weight reached 140kg as his metabolism shut down, he stopped sleeping and became increasingly paranoid and aggressive. Scars marked his face, his arms and hands. “It was just insane and so frustrating to watch because deep down we all knew what a wonderful human being Michael was,” recalls Angel. “At this point I was desperate and spent my days crying and worrying I [would] lose him. So with the help of my brother we arranged for Michael to meet with an addiction specialist,” says Evi. Michael would miss most of his appointments as he was either too sick to attend or not interested in getting himself clean, but Evi decided to attend the meetings herself. “I was so scared but after spending many hours crying in the car I decided I would go in there and cry my heart out,” she says. Evi and Michael’s specialist formulated a strategy to get the 39-year-old into a private Adelaide clinic, where he eventually spent two weeks last September in a specialist recovery program. After being released, Evi took Michael into her home. “I would not [let] him out of my sight. He woke up, I was there. He went to bed, I was there. He was hungry, I was there, checking on him, watching him ‘come down’ from ice, looking after him when he was fainting, coughing and acting erratically due to [the] prolonged drug use that also resulted in mild brain damage. “I was determined to save his life, and giving up on him was not an option,” says Evi, who more often than not had to come face-to-face with drug dealers banging on the door of her home to collect debts and drag Michael back into the addiction path. “If I learnt one thing from this maddening experience it’s that nobody can get out of this on their own. “Whatever you do, parents please, don’t shut the door on your children,” says Evi. Now with almost eight months of ‘clean time’ behind him, Michael says his mother was the only thing that pulled him out. “I reached a point where I didn’t even worry about myself but I could see my mother was dying of a broken heart. I did it for her,” admits Michael who still attends a Narcotics Anonymous meeting every day and is working towards regaining his nursing registration. He has also pleaded guilty to drug dealing charges, and his court hearing is scheduled for later this month. 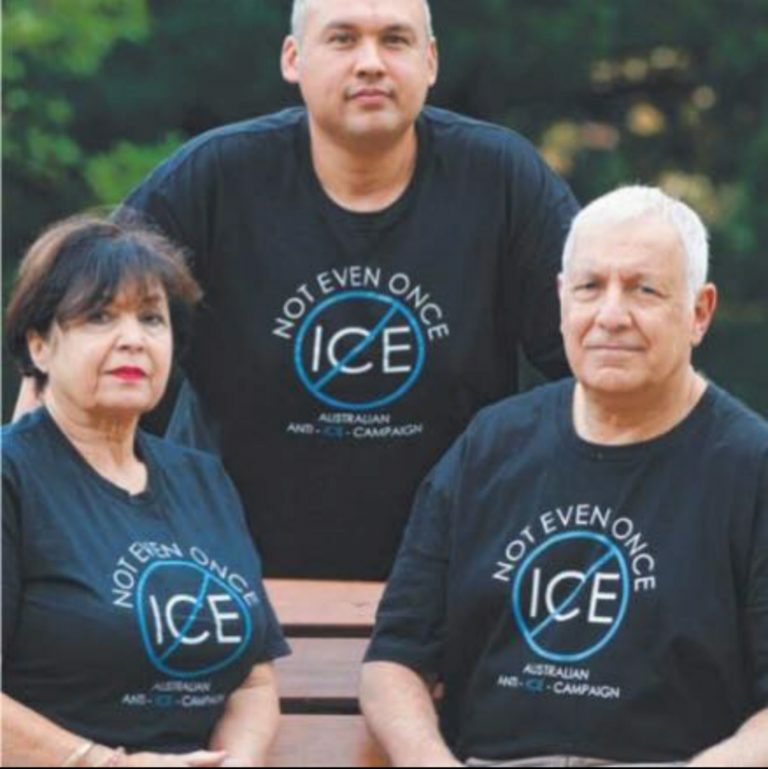 In the meantime, Michael is dedicated on warning others of the dangers of ice through the Australian Anti-Ice Campaign, an organisation founded in Queensland by Andrea Simmons, a former ice addict. “The organisation is run by recovered addicts and offers support to families and educational programs in schools. All AAIC speakers have been ice addicts, attended rehab, are cleared to work with children and are trained in drug education,” explains Michael who is the first ambassador of the organisation in South Australia and has begun discussions to send AAIC speakers into some Adelaide schools. Evi is also undergoing training with AAIC so she can teach early intervention to families who are desperate to help their loved ones in the grip of an ice addiction. “I’d like to help because I can explain what happens. Sitting here now just thinking about it, it was terrible and if we can help other families, then it is our duty to do so,” she says. According to the Medical Journal of Australia (MJA), ambulance call-outs due to ice use have tripled in two years and harm from ice has exceeded the previous high peak in 2006 – a period known as the ‘ice age’. According to findings published by the recent National WasteWater Drug Monitoring Program, Adelaide remains the country’s ice capital, however, crystal methamphetamine is a national issue. Latest figures show that 6.3 per cent of Australians aged 14 years or older have used methamphetamines at least once in their life. Highly addictive, meth burns up the body’s resources, creating a devastating dependence that can only be relieved by taking more of the drug. Crystal meth’s effect is highly concentrated, and many users report getting ‘hooked’ from the first time they use it. “This is why our core message is Not Even Once!” says Michael. “The aim of our campaign is to communicate the risks so that people, and especially young children, realise that one poor choice is enough to ruin their lives.